Sudostroitelnaya Street is a main axis of Nagatino residential district located on a peninsula made by bends of Moskva river. 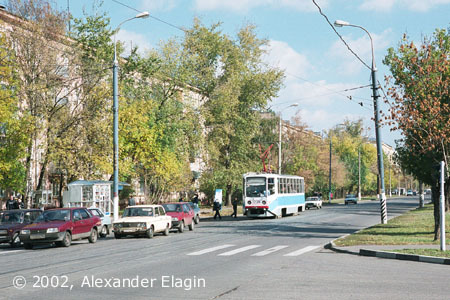 The principal transportation hub of this district is located at Kolomenskaya metro station. The station was named after Kolomenskoye royal estate, first mentioned in chronicles in 1339. Since 1923, Kolomenskoye is a branch of the Historical museum with a very rich collection of Russian wooden architecture. The most well-known monument of Kolomenskoye is the Ascension church completed in 1532 during the reign of Vasiliy III. 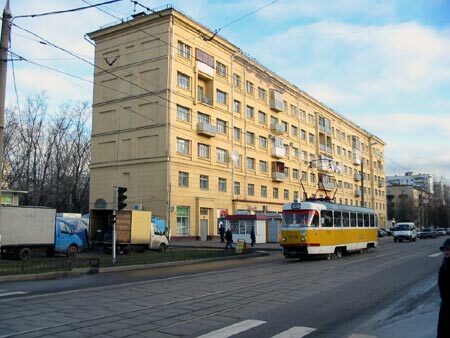 However, the museum is located in a fair distance from the tram tracks aligned in the centre of Sudostroitelnaya Street. The street's name (Shipbuilding in English) refers to the Moscow shipbuilding works located nearby. 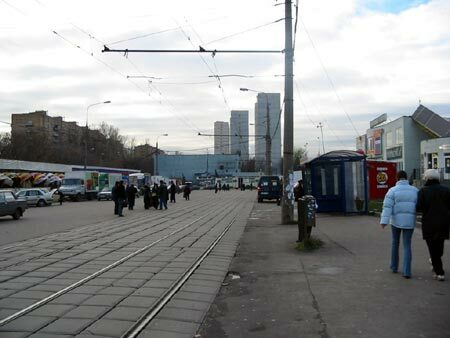 Tram stops nearby Kolomenskaya metro station. 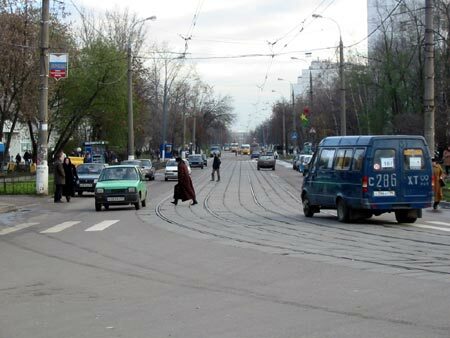 A turning to Sudostroitelnaya Street exists since 1969, initially the line was straight here. Sudostroitelnaya Street is rich in trees, almost hiding the buildings from sight. The street has buildings of various ages, with new construction still going on. This block is a quite old one and dates probably back to the years when Nagatino still was an independent settlement far from Moscow proper.